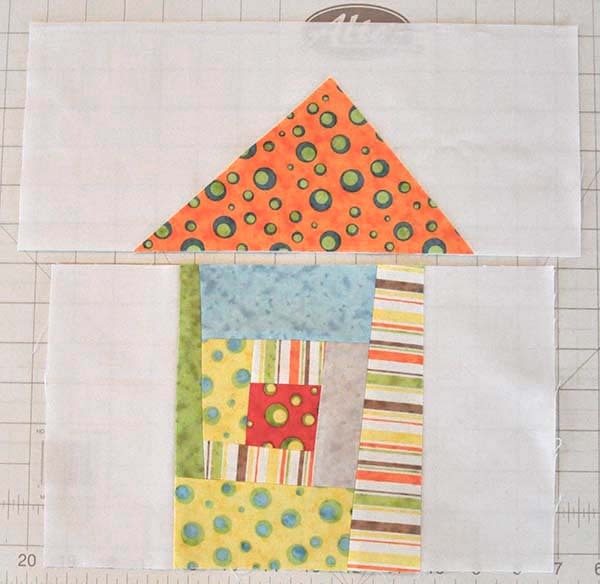 I have wanted to make a “Wonky House” block for quite a while- I think they are so cute and fun! I have made just two blocks so far- I just LOVE how they came out! I would love to make a whole pile for a quilt. But if I don’t have time, I think this would make a really cute pillow or wall hanging. I like the extra scrappiness that the Log Cabin block adds to my little house. 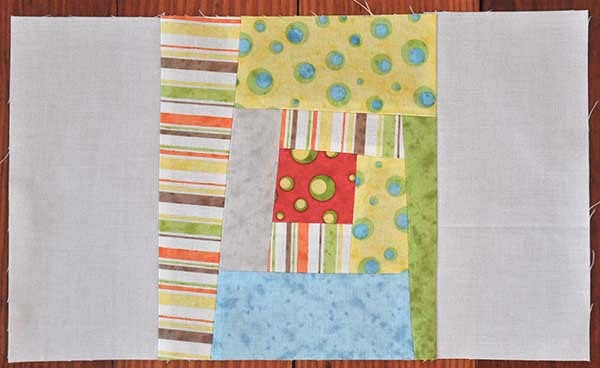 The Log Cabin Block can be just a little wonky, or super-wonky, whichever you prefer. 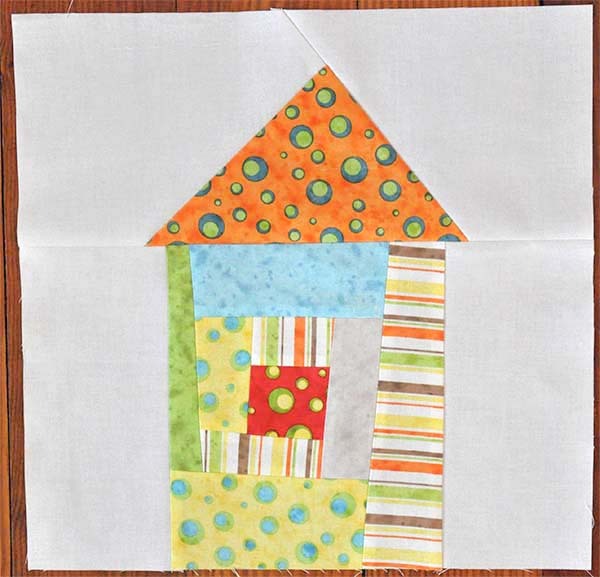 This tutorial will show you how to make the Wonky Log Cabin block, and then how to turn it into a house block. Let’s get started! This will make a 12 1/2″ block (12″ finished size.) You will need various scraps of fabric. 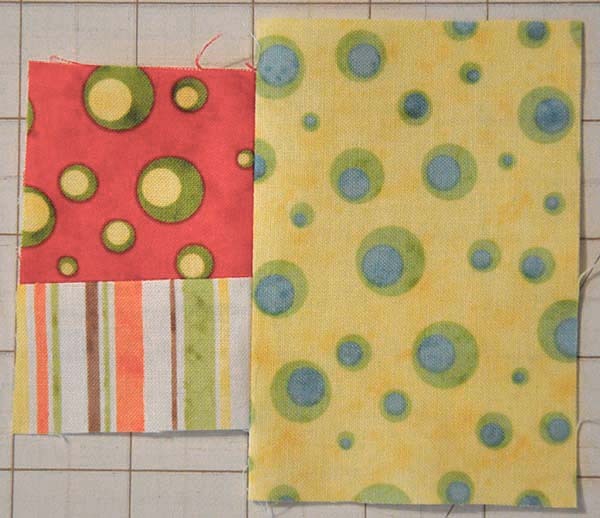 I used fabric from my Happy Town fabric line. 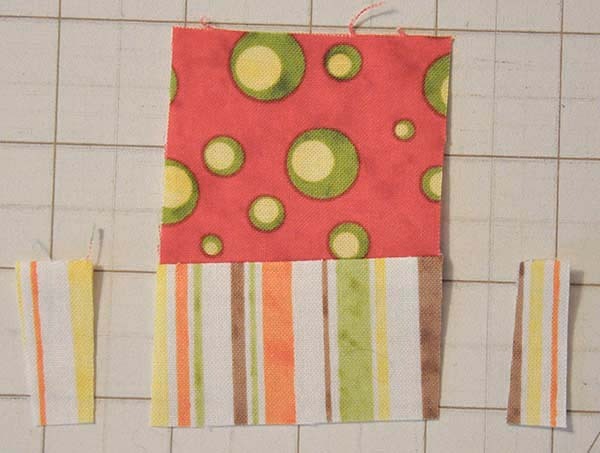 You will also need fabric for the background- I used white but you can use any solid or tonal. 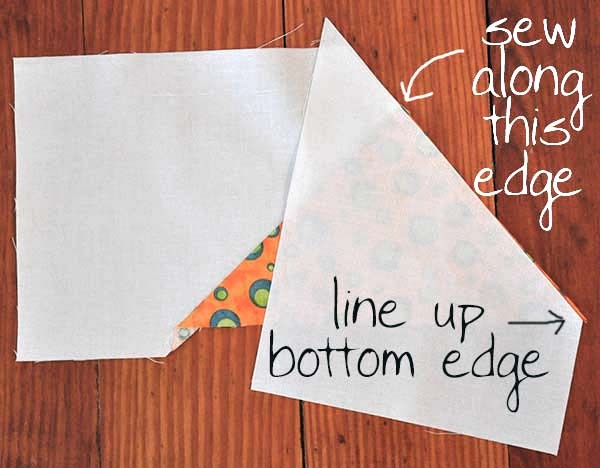 Sew a strip of fabric to the angled side. Press and then trim excess fabric. 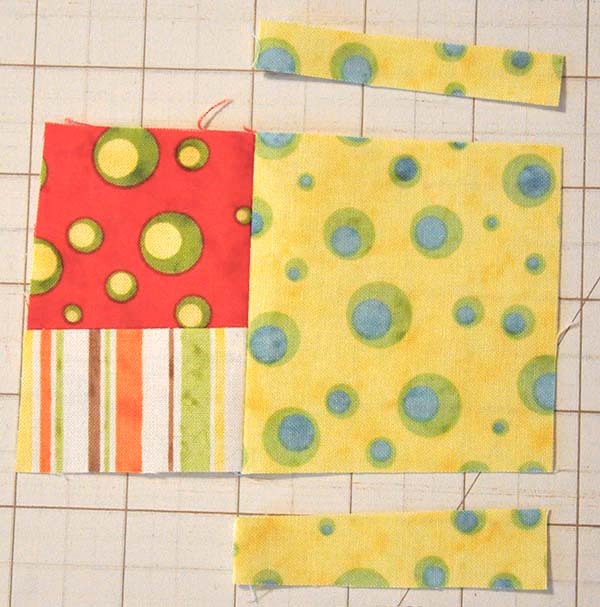 Turn block 90 degrees and sew another strip to the side. Trim excess fabric, following the edge of the existing block. 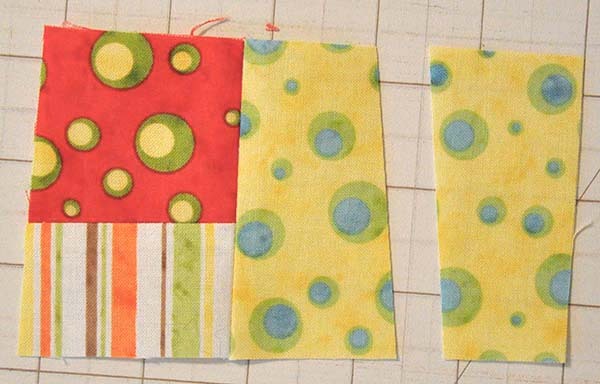 I wanted the yellow strip to be a little narrower, and I wanted my block to be a little more wonky, so I trimmed it off at an angle. 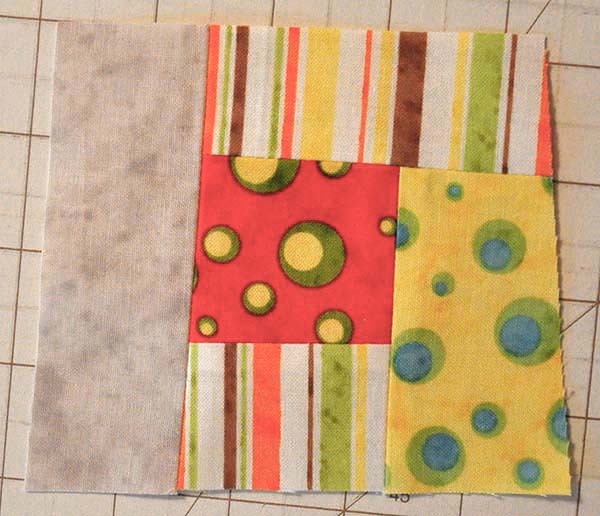 Continue turning the block 90 degrees and sewing on strips, cutting edges at an angle as desired. 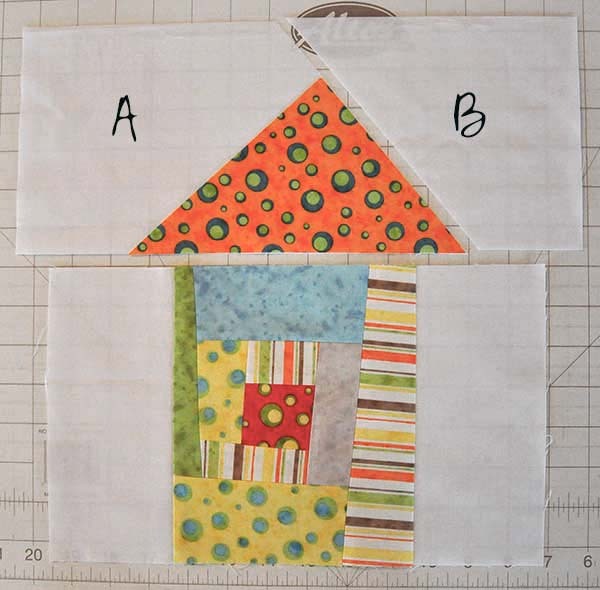 Trim the block to 6 1/2 x 7 1/2″. 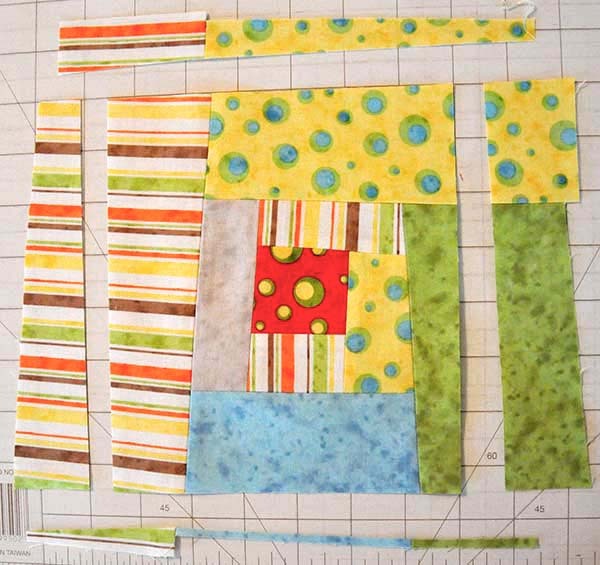 Sew background fabric (3 1/2 x 7 1/2″) to either side of the block. 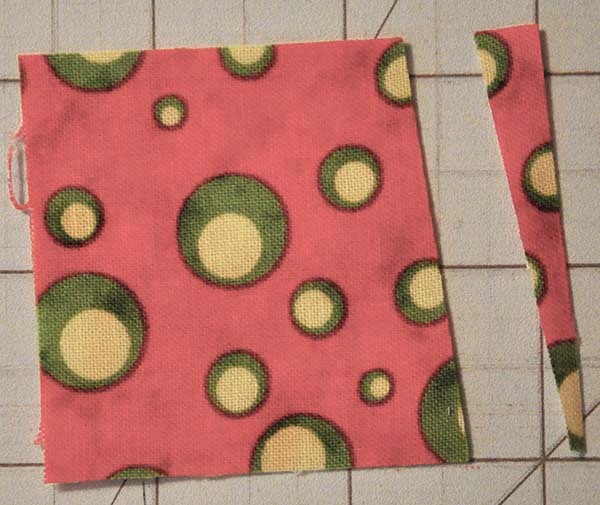 Place 7 x 15″ piece of background fabric right side up on table. Place roof triangle right side up on background fabric. 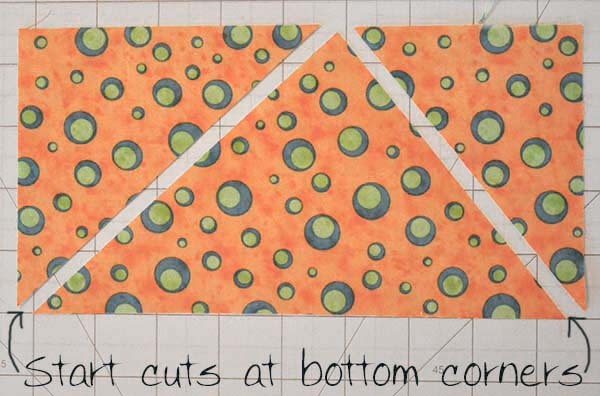 Cut the background fabric, using the roof as a guide. 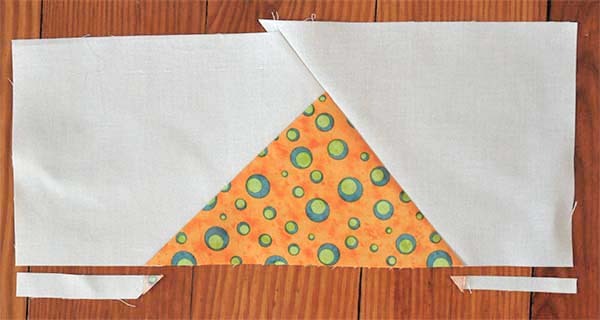 Discard the background triangle under the roof fabric. 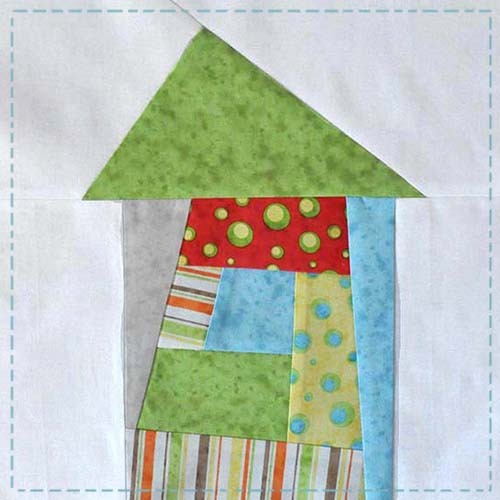 Place shape A right sides together with roof triangle and sew together. Press. 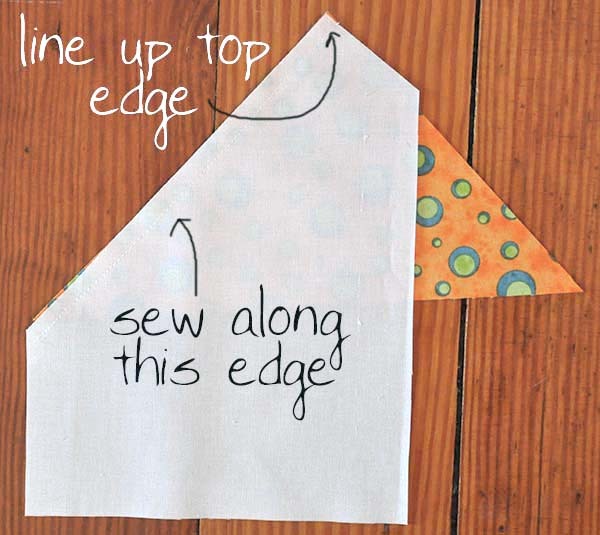 Sew shape B to other side of roof. Press. Trim bottom edge so it is even with roof bottom. Sew roof to block. Trim block to 12 1/2″. So there you have it! An adorably wonky house- wouldn’t a bunch of these make a cute “wonky” village?? 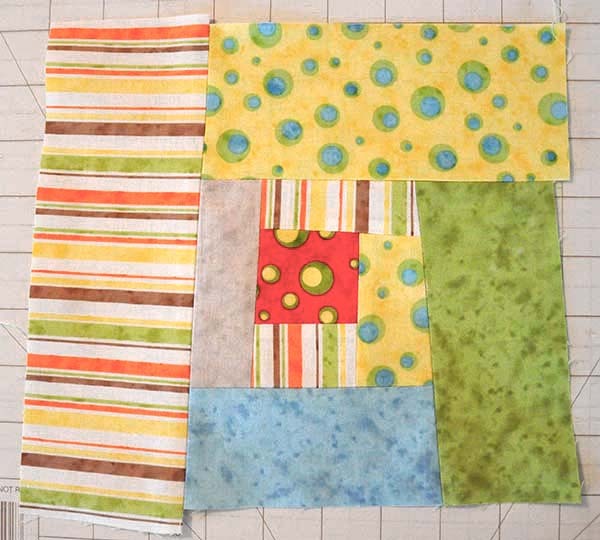 Have you ever made a “wonky” or “crazy” kind of block? Were you happy with the way it turned out? Tell us about it! The sweetest little wonky house and such a fabulous detailed tutorial. Thank you. What cute wonky houses Jacquelynne! 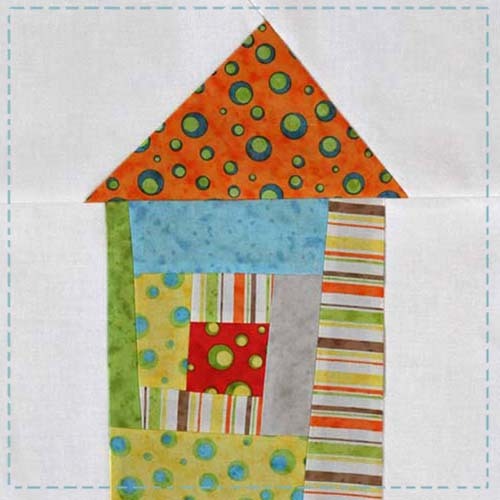 I just finished a little quilt using Happy Town too! I just love this Wonky House. So cute and clever. Thank you. I make “wonky” fabric a lot. I usually end up with quarter yard pieces. They are so fun and then make into totes, bags, placemats, etc. 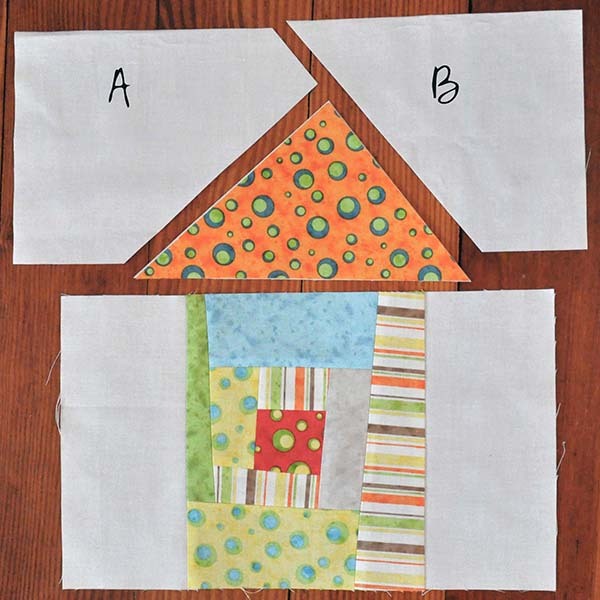 Great idea for using up scraps, Dianne!! 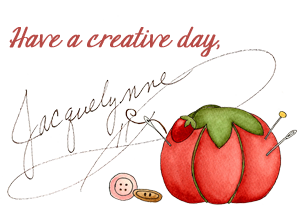 Adorable blocks and wonderful tutorial! Thank you! I love wonky log cabins and wonky houses so this has my name written all over it. So adorable! Love this block. Thanks, Jacquelyn!